"My son loves BounceU Bethlehem parties and camp. For the past five years, we have had his parties at BounceU. It is a well-run organization." "We saw BounceU Bethlehem on a TV show when our daughter was just a toddler. We decided to try it out. We have been hooked ever since. Both our kids love it there. The staff is always nice. The building is always clean and bright." BounceU is no Carnival "Moon Bounce!" 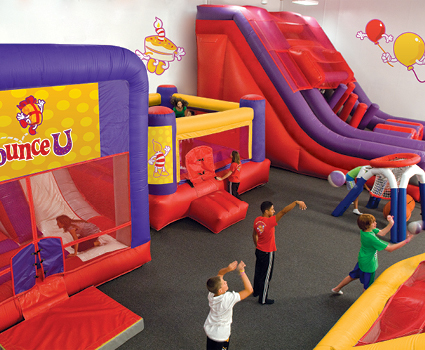 "If you haven't been to a BounceU Lehigh Valley location, I assure you it is nothing like that moon bounce (you probably remember) from the church carnival." Great for Youth Sports Team Parties! "Thank you for your support of our (youth soccer" organization." "Went above and beyond. Met us at the car to help us bring things in, asked throughout the party if we were meeting expectations..."
"I had my daughter's birthday party here. She's a June baby, so it's either too hot or it rains on her day. 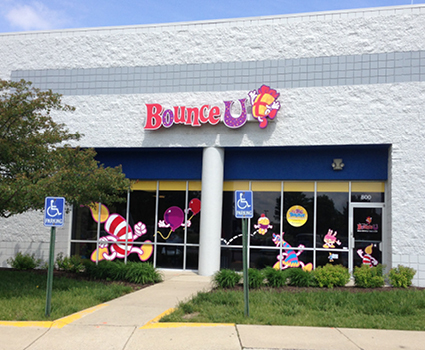 BounceU Lehigh Valley has the best staff, great times and I want to come back and bounce with BounceU!" My son asks for "the bouncy place!" "My 3-year old son asks to go to 'the bouncy place on a daily basis. He's of course talking about BounceU!" Awesome for Girl Scout Troop! "The Girl Scout Troop I lead voted to use our cookie profits to have a party at BounceU Lehigh Valley. We went in late January and the girls had a blast! Two rooms of bouncing, the Cosmic Bounce, and pizza and soda (not to mention two incredible party pros!) was very affordable. BounceU Lehigh Valley will definitely be on our list of 'things to do' again!" 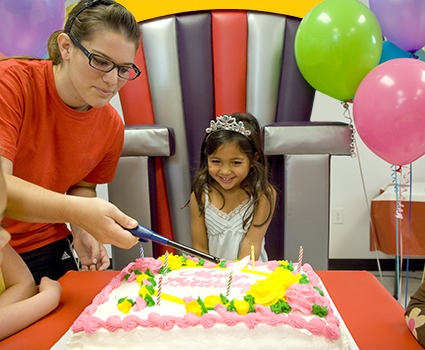 "My daughter has had her birthday party at BounceU Allentown for the last 3 years and I believe I it will be there again this year! Affordable and fun!" Locally-Owned, Part of Your Community! "Thank you so much...we couldn't do it without you!"